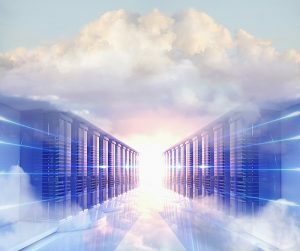 TidalScale has announced support for their Software-defined Server product with SUSE Linux Enterprise Server (SLES) 12. TidalScale also announced their achievement of SUSE Ready Certification. What is a Software-defined Server? TidalScale refers to it as an inverse hypervisor technology. Unlike traditional virtualization, their software sits between the bare metal and the operating system. It enables large numbers of servers to be added on the fly, providing the OS and the application, access to each server’s resources. For example, the application could have access to a large block of memory, combined from multiple servers by TidalScale’s inverse hypervisor technology. Similarly, each server’s CPU cores, storage, and I/O become available to the application. Think about several 12-core 128G RAM servers with terabytes of RAM and hundreds of cores, available to SLES and the application as a single-instance system. I think of TidalScale’s Software-defined Servers as combining some of the best elements of scale-out and scale-up models. From a hardware perspective, it may appear like a scale-out model, with potentially large numbers of smaller servers being available. However, from the application and OS perspective, the solution provides a scale-up capability, by combining available resources as one. This enables clients to scale with additional servers as requirements grow, without requiring changes to the application. TidalScale is working with SUSE clients who are interested in leveraging the TidalScale scaling capabilities with existing workloads. TidalScale also expressed interest in container-based applications and services running on SUSE CaaS Platform. This combination can help clients gain further efficiencies in their computing environment. Exciting days are ahead for SUSE clients and partners! Check out TidalScale in our SUSE Partner Software Catalog.